SOFIA (Bulgaria), March 25 (SeeNews) - Fitch Ratings said that it has affirmed Bulgaria's Long-Term Foreign-Currency Issuer Default Rating (IDR) at 'BBB' and revised the country's outlook to positive from stable. 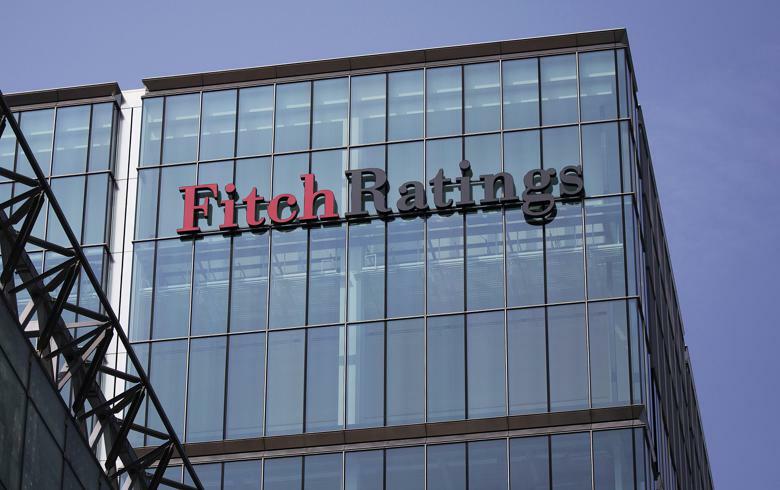 Fitch Ratings also affirmed Bulgaria's Short-Term Foreign-Currency and Local-Currency IDRs at 'F2', the ratings agency said in a statement on Friday. Bulgaria's Country Ceiling remains at 'A-'. Bulgaria's external finance metrics continue to improve and outperform the majority of its 'BBB' peers. The current account surplus was an estimated 4.5% of GDP in 2018, well above previous estimates and helped by a rising services surplus. With private sector external assets also increasing, this has led to a further strengthening of the country's net asset position, to around 17% of GDP at end-2018, a notable 40pp improvement since 2013 (and compared with the current net external debt position of 7% of GDP for 'BBB' peers). Fitch expects a further build-up of external assets in 2019-20, although at a more gradual pace, as the current account surplus is set to narrow in line with higher trade deficits. There are downside risks related to weaker external demand and loss of competiveness given a sustained increase in unit labour costs. However, Bulgaria has thus far been successful in maintaining external competitiveness via shifts to higher value added production and productivity improvements, with its share of intra-European and global trade rising over the last five years. A large pool of FX reserves (equivalent to 45.4% of GDP at end-2018) and a credible currency board regime also help contain external risks. Budget outturns have over-performed, further strengthening Bulgaria's fiscal/debt position compared with peers. The budget surplus rose to an estimated 1.9% of GDP in 2018 on an accrual basis (compared with our previous surplus forecast of 0.7% and the current 'BBB' peers median deficit of 1.8%), the best performance in the last 20 years. Revenue (up by 12% in 2018) has benefited from cyclical growth in domestic demand but also efficiency improvements. Higher projected expenditure, driven by wages, social contributions and higher capital spending, should narrow the headline and primary surpluses in 2019-20. In Fitch's view, Bulgaria's commitment to prudent fiscal policies limit downside risks to our forecasts. General government debt/GDP stood at an estimated 22.5% of GDP at end-2018 and is set to fall to close to 19% by 2020. This compares with a current 'BBB' median of 38.5%. The main risk stems from contingent liabilities, which amount to just over 10% of GDP and are tied to some problematic SOEs. However, a relatively large and stable fiscal reserve account of the central government (8.7% of GDP end-2018) and very low debt-servicing costs (interest payments to revenue less than 2% versus 7.5% for 'BBB' peers) support public debt sustainability. Upward revisions to historical GDP figures means that GDP per capita is now at almost 90% the 'BBB' median, and is expected to reach the current peer median by 2020. GDP per capita has increased by over 20% in nominal terms in the last five years, although it is still among the weakest in the EU (only 50% of EU average in 2017 in purchasing power parity). Fitch expects GDP growth to gain momentum in 2019-20 (averaging 3.3%) after slowing more than expected in 2018, to 3.1%. The recovery is largely based on a rise in net exports, which last year were affected by developments in Turkey and one-off factors, as well as sustained domestic demand growth. The latter will be supported by a tight labour market, low interest rates and EU-led investment. Downside risks are primarily tied to the external sector, although Bulgaria appears less vulnerable than other countries in the region as most of its exports (including those to its main trading partner Germany, which accounts for 15% of total) are for final consumption demand. The government's policy agenda remains centred on joining ERM2 and the banking union by July 2019. Efforts have focused on adopting the required legislative framework to meet all commitments, while an Asset Quality Review (AQR) of six financial institutions is now underway and expected to be completed by 2Q19. The approval to join would kick off the required waiting period to adopt the euro (which could take place by 2022 at earliest) and could help anchor efforts towards improving financial supervision, SOE governance and tackling structural bottlenecks such as a weak insolvency framework. A failure to join could have some political repercussions but is unlikely to substantially affect policy direction, in particular in terms of the authorities' commitment to the currency board and fiscal discipline. The banking sector remains stable, supported by solid capital buffers, strong liquidity and improving profitability on the back of rising credit growth (8.4% in 2018). Asset quality has improved, with the ratio of non-performing loans down to 7.6% in 4Q18 (from 14.6% end-2015), although it is still among highest in the EU, reflecting in part difficulties in dealing with legacy issues. Various efforts are underway to enhance transparency, governance, and the resilience of the sector (including raising the counter-cyclical buffer to 0.5% in October 2019 from zero), further reducing the contingent liabilities from the banking sector for the sovereign. Bulgaria's governance indicators remain in line with its 'BBB' peers. Despite a history of unstable governments and various institutional constraints, there is broad-based political consensus in terms of macro-economic policy and in favour of integration with the rest of the EU. Fitch's proprietary SRM assigns Bulgaria a score equivalent to a rating of 'BBB+' on the Long-Term Foreign-Currency (LT FC) IDR scale. -Macroeconomics: -1 notch, to reflect Fitch's view that structural bottlenecks, particularly adverse demographic trends, constrain potential growth compared with peers. Fitch's SRM is the agency's proprietary multiple regression rating model that employs 18 variables based on three-year centred averages, including one year of forecasts, to produce a score equivalent to a LT FC IDR. Fitch's QO is a forward-looking qualitative framework designed to allow for adjustment to the SRM output to assign the final rating, reflecting factors within our criteria that are not fully quantifiable and/or not fully reflected in the SRM. - Continued improvement in external and fiscal balance sheets. - Progress toward eurozone accession and/or further strengthening of policy and institutional framework. - Favourable growth prospects that leads towards faster convergence with income levels of higher rate peers. - Re-emergence of external imbalances and/or deterioration of external competitiveness. - A sharp rise in public debt driven by fiscal easing or the materialisation of contingent liabilities on the sovereign's balance sheet. - Fitch assumes the Bulgarian authorities will maintain continuity in economic and fiscal policies, and in relations with the EU. - The global economy performs in line with Fitch's Global Economic Outlook."